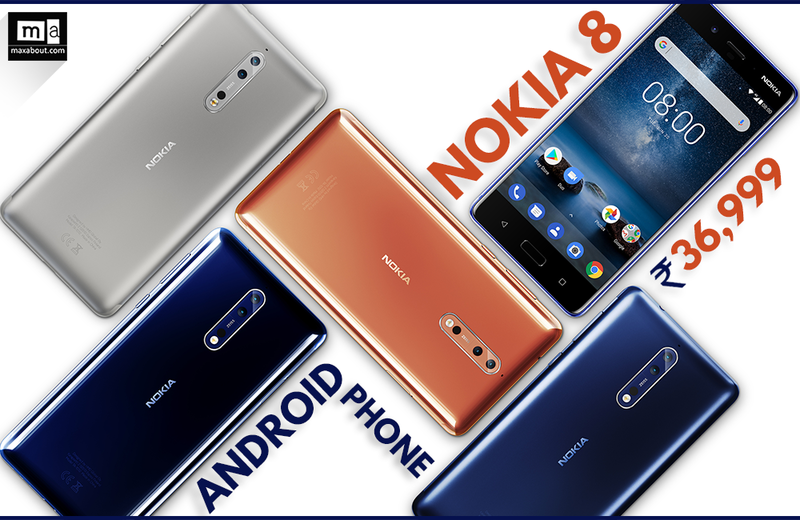 HMD Global has officially launched the much-awaited Nokia 8 Android Smartphone in India for INR 36,999. The flagship Nokia smartphone carries mind blowing specifications and even after carrying all these goodies, it can be seen packed inside a 5.3 inch Quad HD display with Gorilla Glass 5 protection. 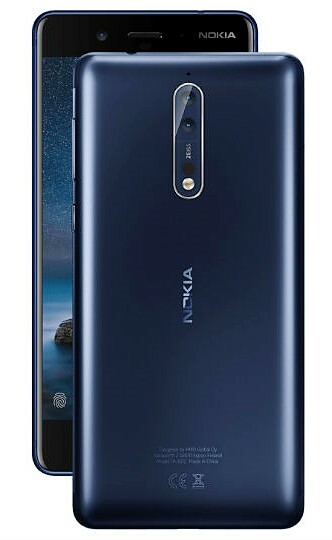 Nokia 8 is equipped with an Octa Core Snapdragon 835 processor under its frame and the phone comes with Adreno 540 GPU and flaunts everything beautifully through its LCD display with 554 pixels per inch. 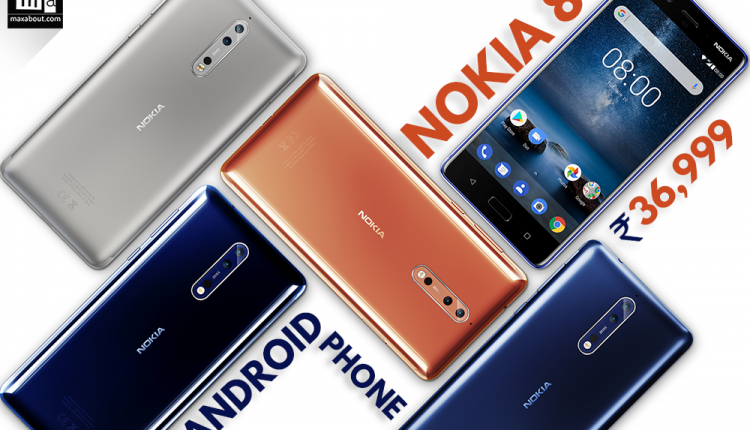 Nokia 8 runs on Android 7.1.1 and promises Android Oreo update in the coming weeks. This smartphone is quite unique in itself as it is made completely out of a single 6000 series aluminum black. Buyers can go for mirror or matte finish as both are available with different shade options on the phone. 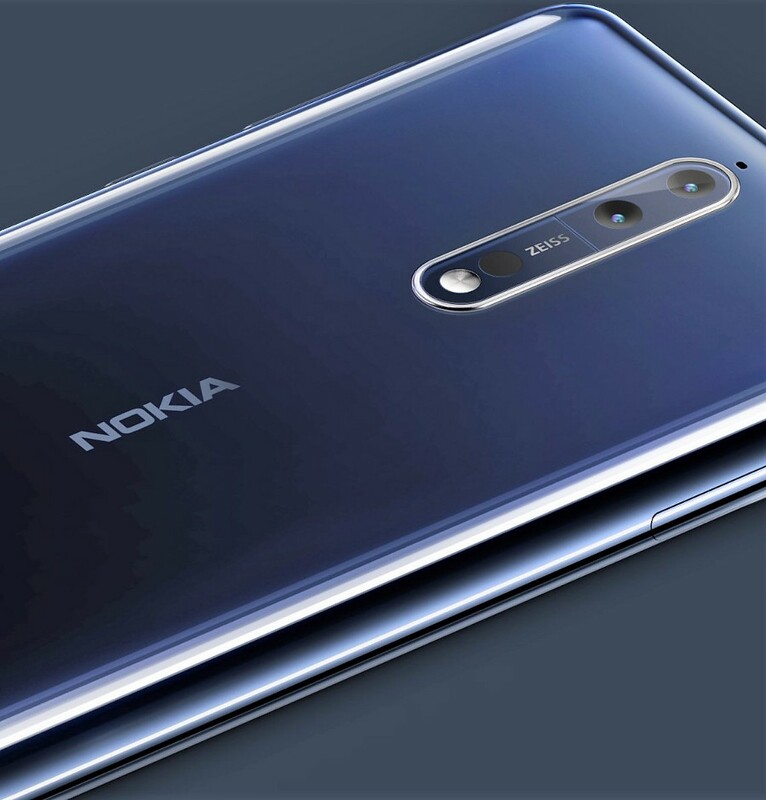 Nokia’s dual sight technology helps the user access both the front and rear camera at same time, merging both into a single image or video file. Nokia 8 comes with 4GB of RAM and 64GB of internal storage. Memory expansion of up to 256GB is available through microSD card on this phone. 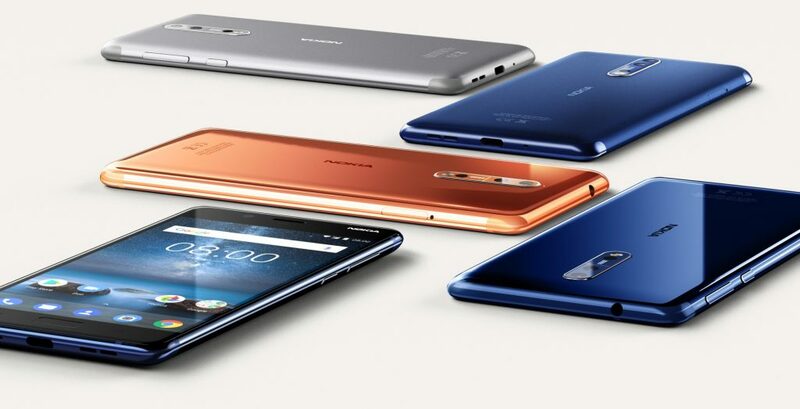 Buyers get bluetooth 5.0, USB Type-C, Nokia surround sound and 3 microphones on new Nokia 8. The best part comes through its dual 13 MP rear cameras, one carrying a color sensor and another coming with monotone sensor. The front also comes with a 13 MP snapper. Both the ends are equipped with ZIESS optics technology and use PDAF, wide angle lens and 1.12 um pixel size. The rear camera also comes with IR range finder and dual tone LED flash. Nokia 8 measures just 7.9 mm in thickness and comes with 3090 mAh battery with quick charge 3.0 as standard. The top-end Nokia 8 variant with 6GB RAM and 128GB internal memory is expected to go on-sale in India by the end of next month or in early November.